The NBA Playoffs are hitting the first home court switch. Which 2-0 series is done? Who still has some hope to grab on to? Which way is the 1-1 series leaning? Here’s a rundown of things entering game 3. With Joel Embiid remaining doubtful to return, the Sixers big edge over the Heat remains Ben Simmons’ ability to make the shooters and scorers around him work. In game 1 the Sixers made 64% of their 3-point attempts, in game 2 only 19% of those shots. It was a combination of better defensive adjustments by the Heat, and simply players missing open shots for the Sixers. That, and Dwyane Wade scoring 28 points off the bench in game 2, although it’s hard to believe he’ll be capable of putting on that kind of performance each game. Anthony Davis may have willed the Pelicans to victory in game 1, but the second game showed what the real difference in this series is: The backcourt. The Blazers are getting mostly bricks from the combination of Damian Lillard and C.J. McCollum, while the Pelicans are putting the ball in the hands of Jrue Holiday and Rajon Rondo, getting a mix of rapid-fire scoring and terrific gameplay decisions. The Blazers don’t have a plan B; they need both their stars to start putting the ball in the basket, otherwise this is going to end very quickly. The Spurs are done, with or without Kawhi Leonard returning. Gregg Popovich isn’t coaching in game 3 and maybe not again in this series. 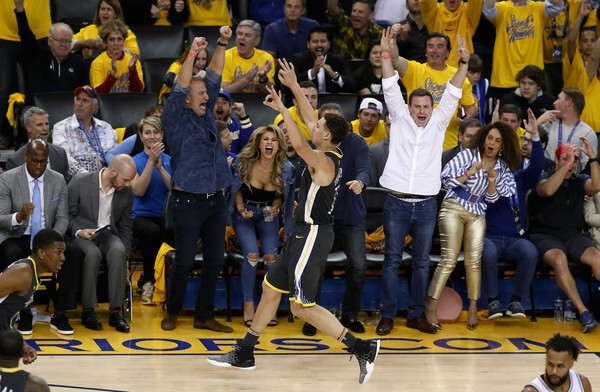 The Warriors got the perfect match up to allow Stephen Curry some rest. LaMarcus Aldridge is playing some good basketball, but things have turned out very differently for him, expecting to join a title contender, instead he’s on the verge of getting swept by the Warriors for the second consecutive season, this time in the first round. Besides LeBron James carrying them to the win in game 2, there were some lineup changes the Cavs made – dropping Jeff Green and Rodney Hood to the bench, instead inserting Kyle Korver and J.R. Smith. It gave the Cavaliers a 33-18 start (most of it, again, having to do with James), which happened to be enough of a cushion for the rest of the game. But just like the 2003-2010 Cavaliers team and maybe more than ever, this Cavs team relies completely on LeBron. The Pacers have a bit more to give in terms of spreading the scoring around. Victor Oladipo and Bojan Bogdanovic are probably the ones who Indiana rely on the most to get going. People refuse to believe the Raptors are for real, but their ability in the regular season was no fluke. The Wizards aren’t producing much beyond John Wall, while Toronto are putting their faith in DeMar DeRozan with everyone buying into the philosophy. So far it’s paying off, even if the defense could be a little bit less leaky. 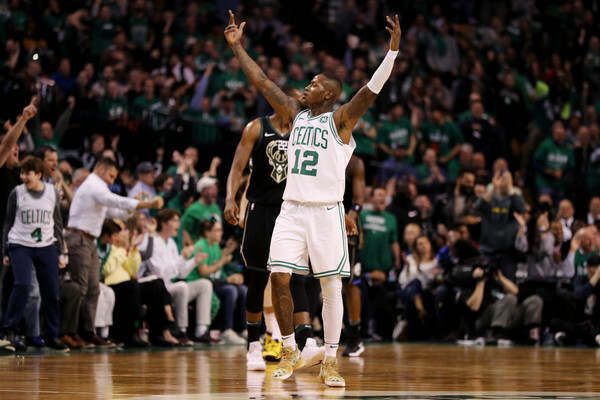 You can sum the series between these two teams down to coaching, but that would be unfair to Jaylen Brown, Terry Rozier, Marcus Morris and Al Horford. On the other side, Eric Bledsoe is a no-show, which makes it even more difficult to describe what has become of Jabari Parker. Giannis Antetokounmpo is a lot of things, but a high-level, efficient decision maker he is not. Not yet. And that’s probably what the Bucks need to take down the Celtics, even without Kyrie Irving and Gordon Hayward. Not much of a difference compared to the Bucks-Celtics series, only the Rockets aren’t banged up like the Celtics. When Taj Gibson is the only starting five player giving more or less what’s expected of him, it’s easy to see why very few people believe this series is going to last for much longer. The only 1-1 series in the West. 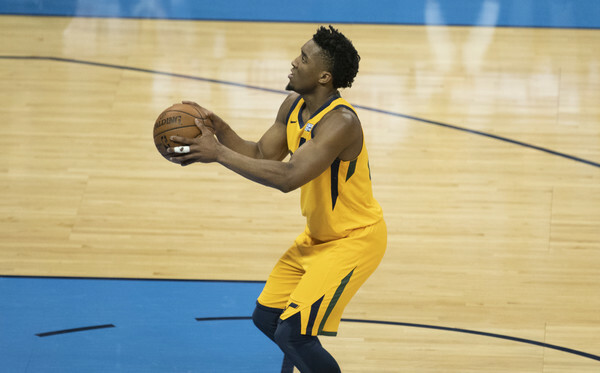 The Jazz are better coached but don’t have enough playmakers to blow the Thunder out of the water. Oklahoma City are truly mesmerizing to watch, both at their peak goodness and their peak selfishness. Getting the ball out of Carmelo Anthony’s hands and making their ISO-ball slightly more intelligent could be enough to swing this series back their way.